Chemical compounds based on elements that belong to the so-called transition metals can be processed to yield atomically thin two-dimensional crystals consisting of a monolayer of the composite in question. 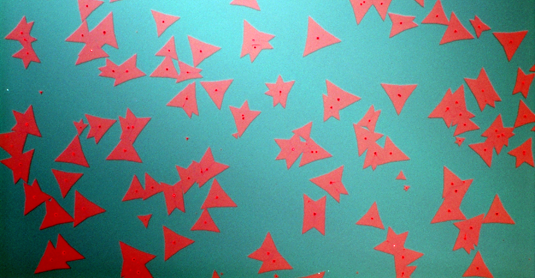 The resulting materials are semiconductors with remarkable optical properties. In cooperation with American colleagues, a team of LMU physicists led by Alexander Högele has now explored the properties of thin-film semiconductors made up of transition metal dichalcogenides (TMDs). The researchers report their findings in the journal Nature Nanotechnology. Moreover, the new method can be applied to other monolayer semiconductors and systems made up of several different materials. In the future, this will enable the functionalities of devices based on atomically thin semiconductors -- such as novel types of LEDs -- to be characterized swiftly and economically.